The initial rosters for the New York-Penn League All-Star Game have been released and the Hudson Valley Renegades will have five representatives on the American League affiliates squad. They are: RHP Wilmer Almonte, RHP Austin Hubbard, 1B Phil Wunderlich, 2B Robby Price, and SS Derek Dietrich. Dietrich is on the DL and is not expected to play. The game is August 17th at Richmond County Bank Ballpark. 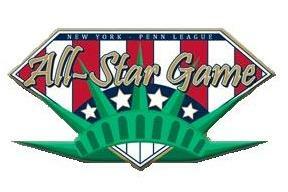 Jake Thompson, Pitcher from Hudson Valley, was added to the All Star team last night.